Writer of non-fiction, fiction, and poetry. Gene lives and writes in rural Minnesota. Being an avid outdoorsman and enthusiastic researcher of local history has enabled him to write books which articulately describe the land and people of rural America. Surrounded by secluded farmland, Gene lives with his wife who is a Christian day school teacher and two Labrador retrievers whose greatest joy is leading Gene around the rolling coutnryside. With five children and eleven grandchildren, life seems to never be dull. 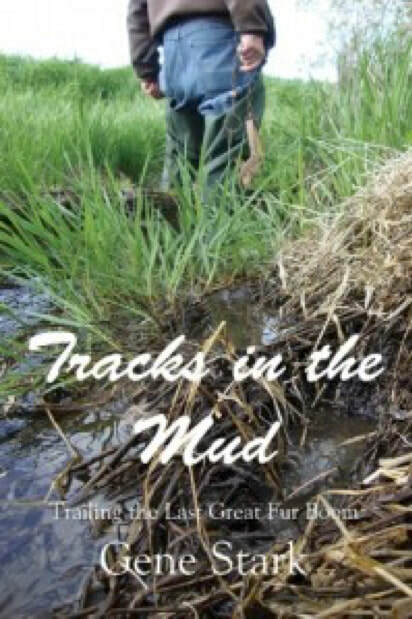 Gene Stark's writing has appeared in magazines such as "Green Prints" and "Lake Country Journal" and his weekly blog can be found on this website with topics ranging all across the range of outdoor activities in rural Flyover Country. He enjoys traveling to other parts of America, but finds a summer evening on his east-facing deck, overlooking miles of rolling hills, wetlands, and lakes to still be the best place on earth. 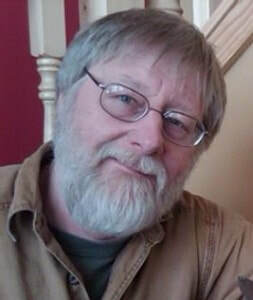 Gene is a graduate of Concordia University in St. Paul, Minnesota with a degree in education, English, and science he has been a teacher, writer, organic farmer, and greenhouse grower. He enjoys many outdoor activities, including organic gardening, fishing, hunting, and skiing. Gene's greenhouse business focuses upon the propagation and growing of native plants and pollinators, used in restoration projects and rain gardens. He enjoys doing presentations to garden clubs and master gardener groups about using native plants in their garden projects. He finds talking to interested groups about the writing process, especially historical fiction to be fun and enlightening. Gene Shares, "We live where the sun rises when it hits the horizon, not when it tops a building. We listen to the weather forecast because it really matters to us; it influences what we will do, what direction our day will take." ● To learn more about each Gene's eight books, scroll down and click on your title of interest. ● ​To learn more about Gene's livlihood drawn from organic farming, click here. God in a God-Foresaken Land. 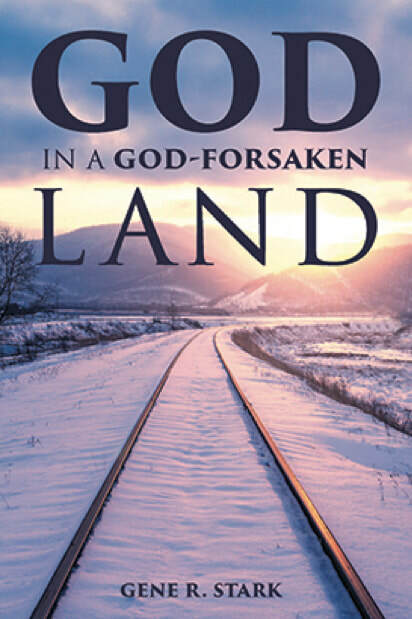 “God in a God-Forsaken Land” is a journey of faith and adventure in 1870s pioneer Minnesota. The frontier town of Alexandria, Minnesota in 1874, attracted immigrants longing for land and freedom. Yet the newcomers to this wild, beautiful, and dangerous landscape needed the stability, love, and peace found in the Word of Life. Pastor August Hertwig, called to this ministry and dropped from a stagecoach into a stunning yet hostile place, faced isolation, severe weather, and plagues of locusts as he struggled to bring the permanence of Church and Faith to settlers striving to carve out a life in this new land. 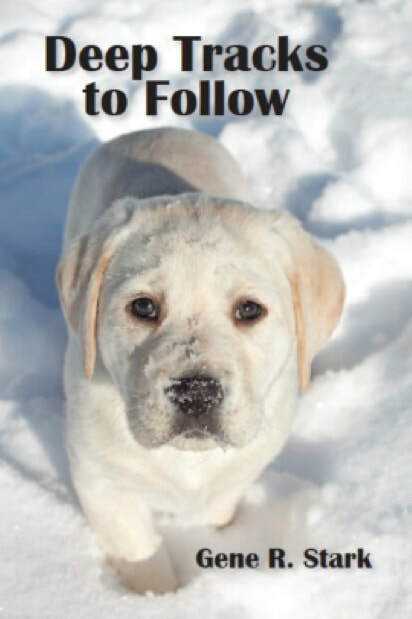 Deep Tracks to Follow is a heartfelt memoir about the deep bond between Stark and his Labrador retriever. Deep Tracks to Follow explores the mysterious and ancient bond that ties human and canine spirits together. Animal lovers of all shapes and sizes will see their hearts reflected on the pages of this book as they relate to Stark’s poetic description of the experiences and love between a family and man’s best friend. 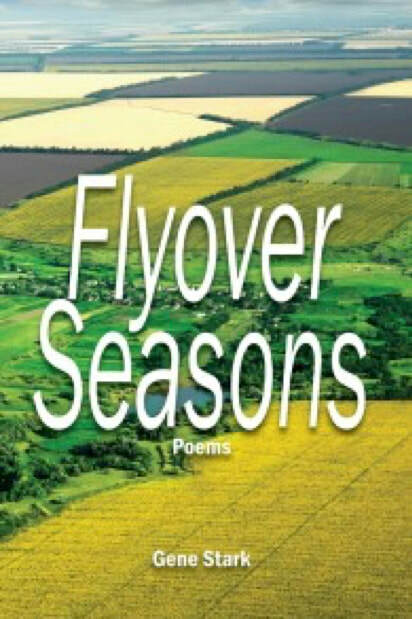 Flyover Seasons is a book of poetry from a farmer’s viewpoint that takes us through the seasons of the year. This book takes us on an outdoor journey through the changing landscapes and moods of the year. From the frozen bloody shadows of a moonlit January night to the hot breath of a summer solstice day, the moods of the seasons grip us and mold us into what we are. A personal chronicle of a unique time when the greatest fur boom in history hit our continent. Still little known, as much of the fur boom flew by under the radar screen of most Americans, I’ve portrayed the highs and lows, the competition, the beauty and freedom of the full time trap-line, as well as the joy of being able to fulfill life-long dreams. "I’m always amazed at the perfect storm which brought things together in the seventies for the fur harvesters in America. Lots of kids like me had grown up in rural areas and had learned to trap as youngsters." 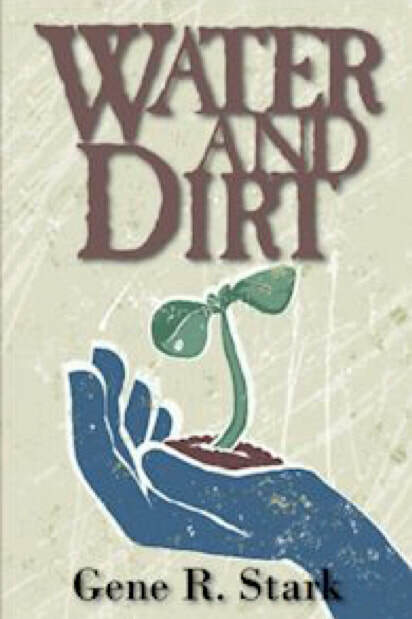 Water and Dirt tells the story of a Successful New York businessman Rutherford “Runt” Hobbes as he ponders his past life; orphaned and crippled at birth he slogged through the essence of survival in rural Minnesota. Surrounded by a colloquial bunch of characters, embodied in Buck the curmudgeon bar-fly, happy-go-lucky Uncle Mike, and a role model for life in Aunt Dorothy, Runt learns to grapple with the mysteries and realities of life. ​With the drums of the Vietnam war sounding constantly in the background, the realities of life in rural Minnesota can change quickly from frozen lakes to rice paddies, and the rush of water down a pristine stream can meld into the rush of traffic on a busy New York street. 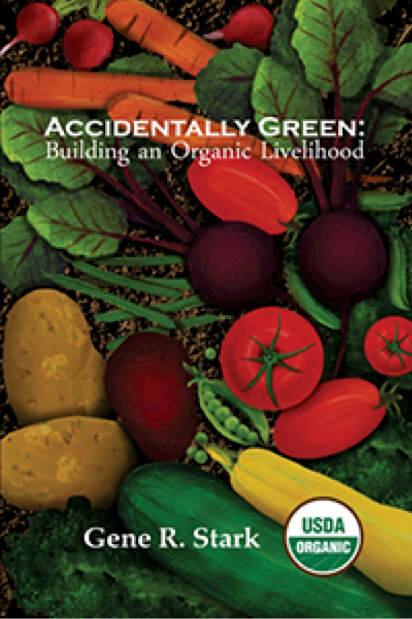 If you are passionate about organic agriculture, this book is for you. Learn the true story of two teachers who will inspire you as they and their family build their organic growing business from the ground up. Lacking capital, experience, and encouragement, they learn the nuts and bolts of production and sales; making mistakes and relying on common sense to succeed. The culture and independent mentality of small growers is explored as the 1970’s unfold and the new quest for wholesome green products begins to envelop the buying public. Today’s marketplace craves products that are earth friendly and which encourage a healthy lifestyle. This grassroots approach to business, life, and growing, makes good sense in a new century. Welcome to the northern marshes of McKay, where the bright colored Flutermacawn birds live and thrive. That is, until the Toothymajay invade their habitat and diminish the food supply. 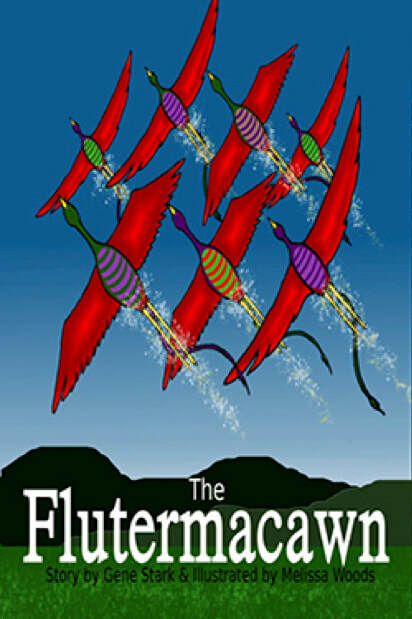 ​Teach your child about invasive species and find out what happens to the Flutermacawn in this colorful, imaginative story. ​Haferman and Stark, Inc beat all the odds when it comes to small business. The four partners, Erwin, Howard, and Lawrence Haferman along with Herbert Stark, built an aggregate and road contracting business that lasted 44 years. Haferman and Stark, Inc. began in 1928 and endured the Great Depression, numerous wars, severe weather, and countless setbacks. By the time the four partners sold the business in 1972, there was a lot of history to be told. 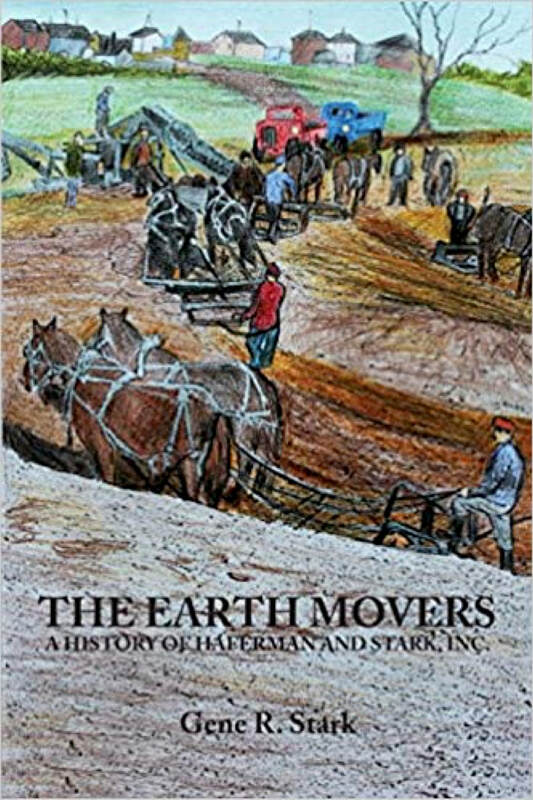 This book recounts the story of Haferman and Stark, Inc., a business which began in a horse-drawn society and persevered into the space age.